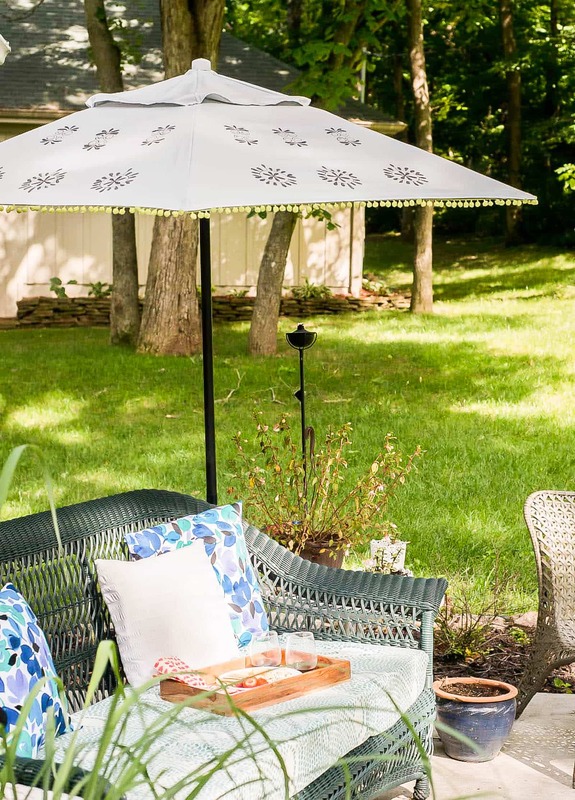 Don’t throw your old, faded patio umbrella away! Learn how to paint a faded patio umbrella while reading about my patio umbrella makeover. Sometimes, we are so quick to toss the old and just buy new. I think that can be the better option but isn’t always. For outdoor patio furniture, cushions, umbrellas, etc., they fade over time. Tossing all the patio equipment every year because of sun exposure just isn’t feasible over here. Learning how to make our fabrics more sun resistant and reviving the old pieces are in the budget though. So, if you have a faded patio umbrella, let me tell you, you are in luck today. I’m walking you through the process of how to paint that umbrella and even sharing how long you can expect it to last. I don’t know about you but the home security options that we’ve looked into are VERY EXPENSIVE. For one, I hate paying monthly fees. But, on the other hand, I want to be safe and feel safe in my own home. We live in an older house, so wiring in a security system would be difficult and expensive. Yet, we have the need for the added security just like everyone else does. That’s why I was excited to find out about Blink Home Security and why I’m excited to share them with you. 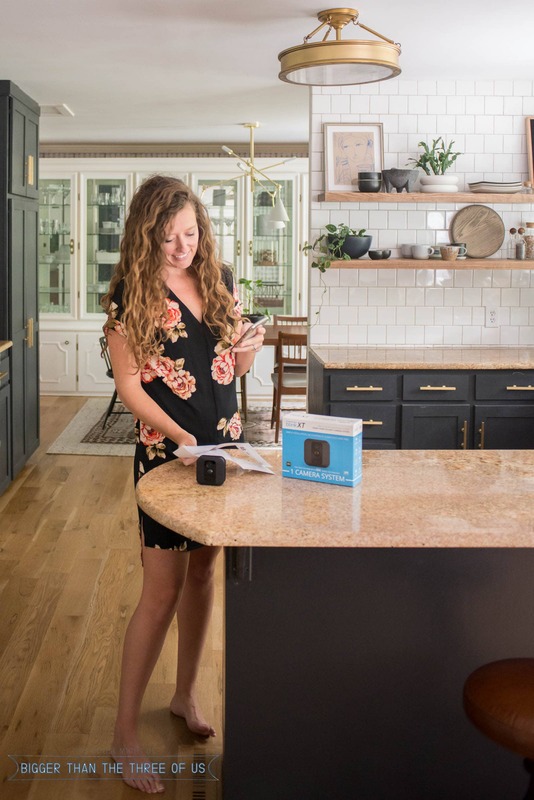 It’s a very affordable home security option, with NO WIRING hassles and one that I think you are going to love. I’ve partnered with Blink for this post. I’m thankful to be able to work with companies that I believe in and products that provide a service that truly provide value. Whether your house is new or old, in a neighborhood or out in the country, I think something that we can all agree on is that we want to feel safe in our home. We’ve done quite a few safety improvements over the past few years but still feel like there are quite a few improvements that we could still do. I hope you all agree that sometimes, it’s worth a bit of effort to “pretty up” a piece that you already have rather than discarding it for a new piece. Don’t get me wrong, I love bright and shiny new home renovation items but there’s something great about making something better within your home by using your skills and being budget-friendly too! Today’s project, How to Update a Storm Door, is hopefully a project that really resonates with you. 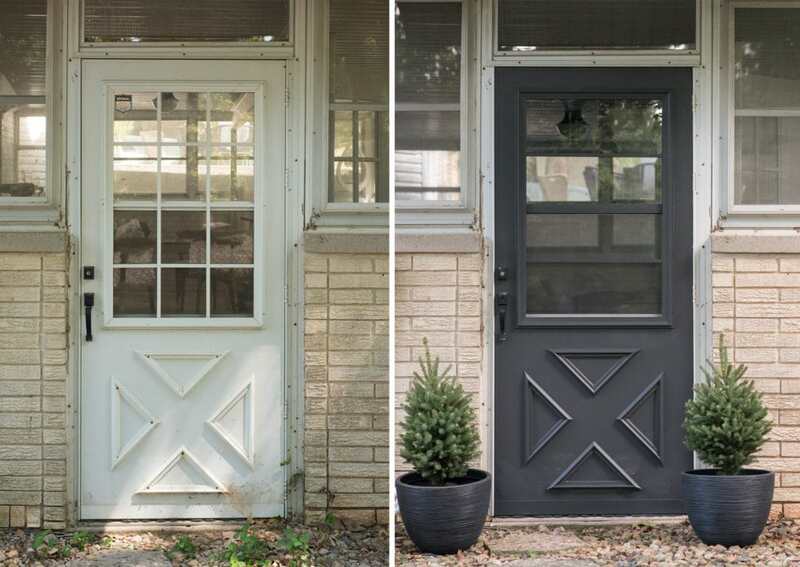 I’m sure most of us have doors or windows that can use a little love and you’ll see how my storm door got some much-needed love and modernizing; and, hopefully, you’ll be inspired to tackle a similar project of your own. This post is sponsored by HANDy Paint Products. I’m very lucky to be able partner with them on house renovation projects and hope you guys love their products as much as I do! Check out that storm door before and after!!! Crazy beans, right?! Seriously guys, I want you to know that there are tons of mini projects that you can do around your house that can have these same results. Don’t just think about the big renovations (I mean those are great, but not always realistic), think about the little things that can add value, style or just put a smile on your face.